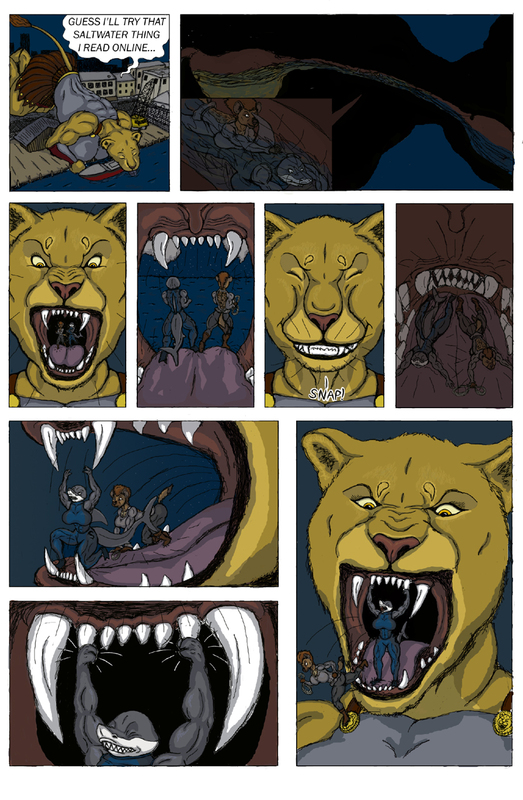 Superhero comic commission, shark and hyena vs. giant lioness - traditional and digital artwork - Furtopia | Family Friendly Furry Forum and IRC Chat! 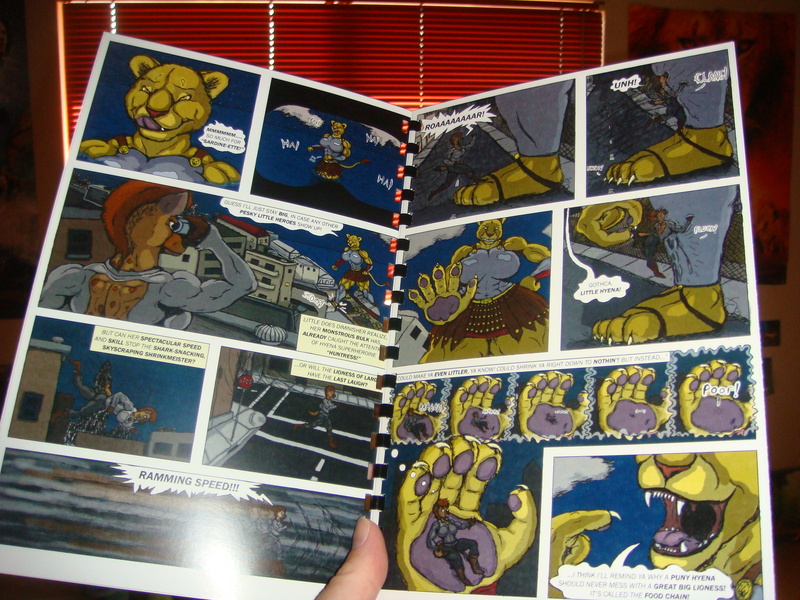 An 11 page comic commission for chestaclan on deviantART. Suprheroines Sharkette and Huntress take on the villainess Diminisher, a lioness with the power to shrink whatever she touches and grow to enormous size. 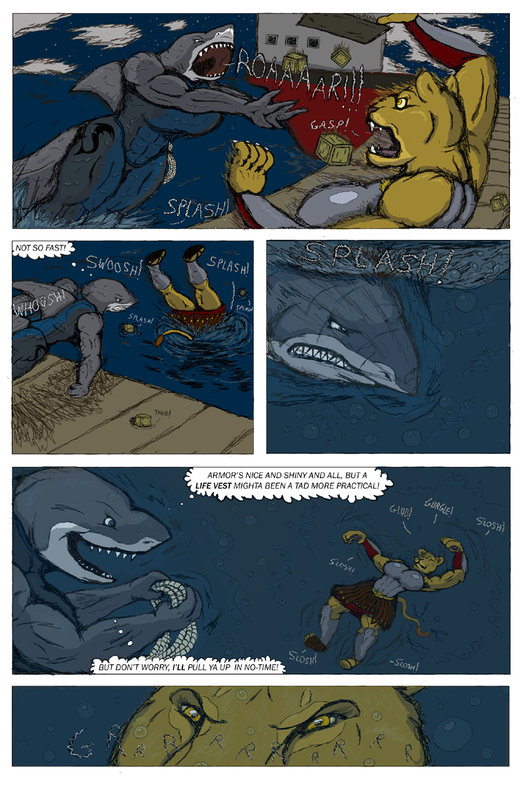 NOTE: Story contains mild cartoon vore (nothing that couldn't be shown in an average Saturday Morning cartoon). I just finally finished the last page yesterday . Amazing art! I love your style ! I don't know how much time you spent on this, but it turned out very well. Thank you very much, WhiteAkita and Old Rabbit! Definitely something to be proud of. Looks like a comic you bought. I've started making a YouTube version of the comic (in the style of comic scan videos I've seen posted on there). The youtube video was cool.